Most people go through life at a normal rate, but some people are simply born ready to go. Annabelle Ridgeway, a Philadelphian who, at age four is already a master in determination, fits this category. 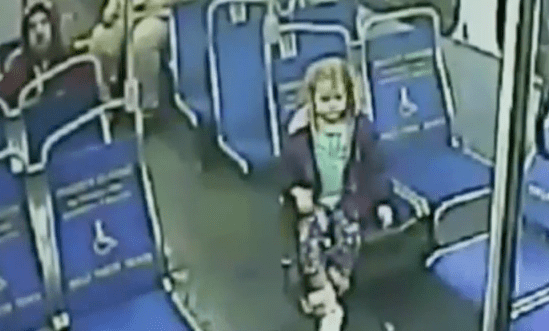 With nothing on her mind but her strong desire for a slushie, Annabelle slipped out her back door at three in the morning and boarded the bus to the nearest 7-Eleven. The girl wanted something, and she took action. Although the girl’s actions could have been dangerous, she truly exemplifies the motivation that even some adults lack. At such a young age she already knows how to take initiative, plan and take action. And she stopped at nothing to reach her goal. The determination that Annabelle possesses is admirable, especially for a four-year old. Many adults would do well to take after this little girl – not necessarily in a slushie escapade, but in the values she encompasses.